Rear wheel drive and some front wheel drive cars and trucks use gear oil or differential fluid to lubricate the gears and bearings of their differential. This fluid is heavy weighted oil that is capable of maintaining lubrication under extreme loads. Gear oil is weighted at 90w or 80w and can be synthetic or conventional style grades. Some front wheel drive cars use the fluid of the transmission to perform the lubrication of the gears and bearings of the differential and can be checked by inspecting the fluid level of the transmission. Gear oil levels should be checked at every car service interval. 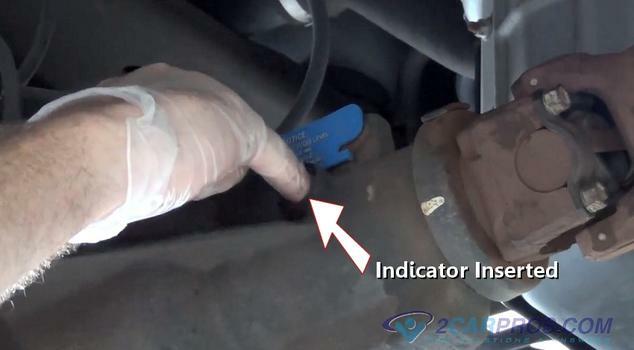 When this inspection is neglected it can cause bearing and gear failure which can render a car inoperative. When inspecting the differential look for wetness around both axle seals and the pinion gear seal. 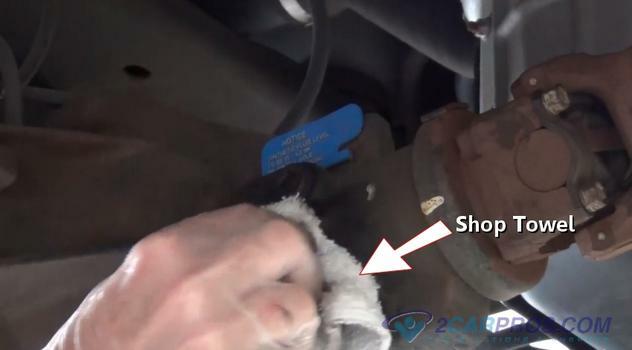 Also check for leaks around the gear cover which is in indication the gear oil level might be low. 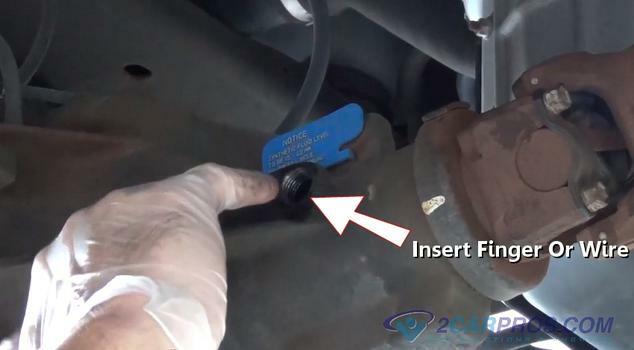 Also, it is a good idea to check the fluid level because it is known that some car manufactures ship their cars with low differential fluids to avoid leaks when shipping. It is then up to the dealer to add additional oil when they perform a new car inspection before the car is sold. When taking you car into a garage to have the differential oil checked it should cost between $28.00 and $40.00 depending on manufacturer. A differential will start to make a humming sound at higher speeds when the oil level has dropped below the required fluid level. If this condition is neglected it can cause the differential gears to break and lock up causing the car to stop immediately. There is a video of this job at the bottom of this guide. 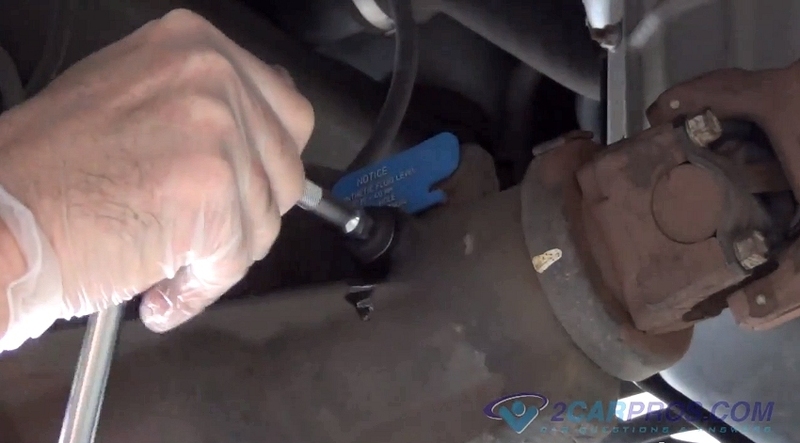 The car will need be jacked up in the air in most cases to be able to check the gear oil level. Also wear protective eyewear and gloves. 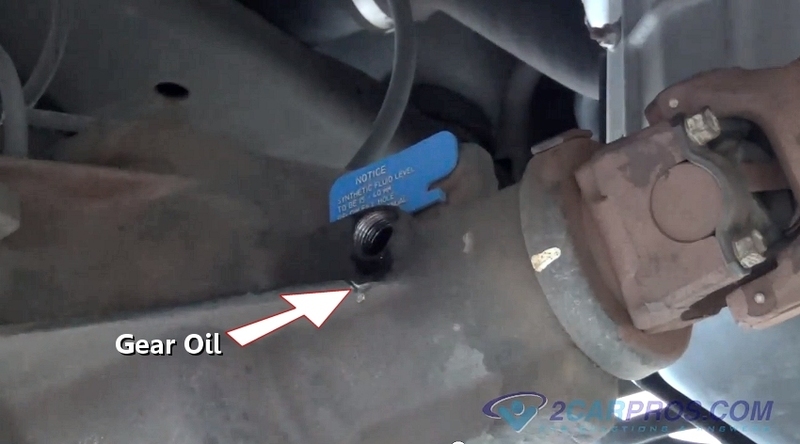 The oil fill plug is usually located on the front part of the differential near the pinion gear flange. If the differential is equipped with a locking carrier it will have a tag informing of a special fluid or additive that must be used during service. Level inspection plugs are also located on the gear cover plate at the rear of the housing. Use an appropriate tool to remove the fill port plug. In the case below it is the end of an 3/8 drive extension. 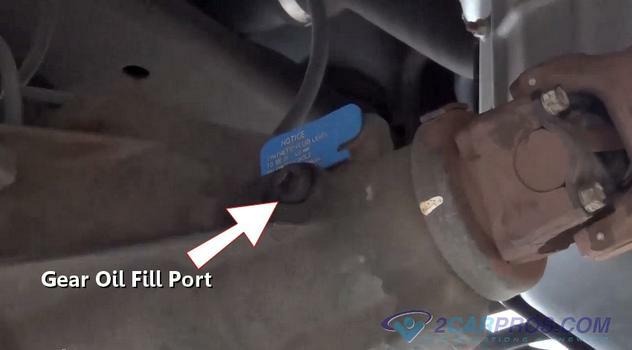 Removal of the plug will allow access to the inside of the differential housing where the gear oil level can be checked. Using a small wire, or some use their little finger to check the fluid level which if is correct will be just below the level of the plug hole. If gear oil comes out once the plug is removed it is full and you can reinsert and tighten the plug. Using a small wire or little finger insert it downward into the hole to feel for the fluid. 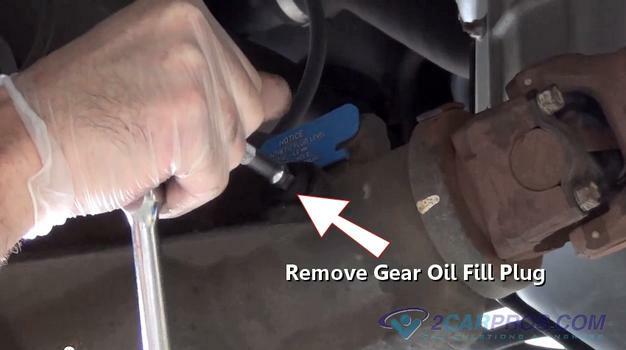 Once you finger or wire has been removed it should be wet with gear oil if the level is okay. Do not turn drive shaft or rear wheels while checking the gear oil level because the gears inside the unit could cause injury to your finger. 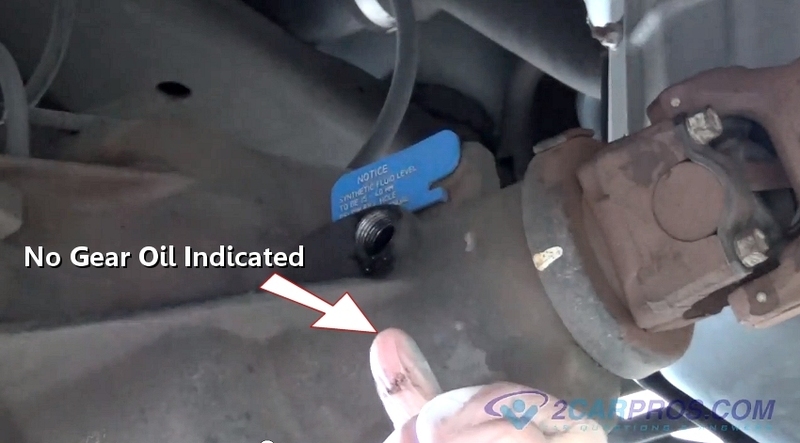 Remove your finger or wire to inspect for the present of gear oil. 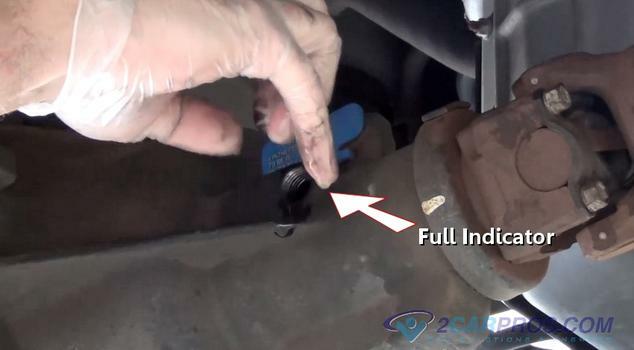 In the image below there is no gear oil on the finger so the level of the gear oil is low. A gear oil quart which you can get from Amazon or the local parts store usually will come with a small nozzle and hose that can be used to add the gear oil inside the service port to increase the fluid level. Continue adding fluid until it spills out from the service port. This is what it will look like once you have enough gear oil inside the differential. You can double check the fluid level by inserting your little finger to confirm the proper level of gear oil has been obtained. Now reinsert the differential fill plug by hand to avoid cross threading and finish by tightening the plug to 15 foot pounds of torque. 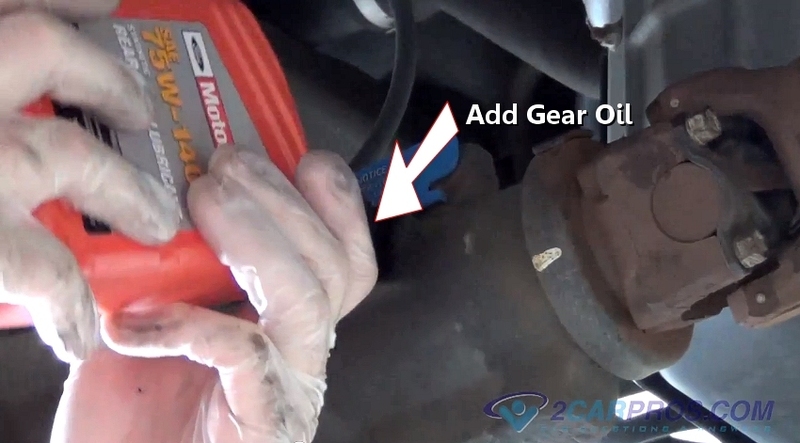 Once the oil fill plug is tight clean excess gear oil from differential using a shop towel. Perform a differential service on a regular basis to ensure the proper operation of the differential. Knowing how a differential works also aids in troubleshooting noise related problems. Here is a video of one of our mechanics doing the job. If you have any differential fill questions please visit our forum. If you need car repair advice, please ask our community of mechanics is happy to help you and it is always 100% free.